Last week we talked about working with Promoters and how this changes the relationship between you, the venue, the consumers of your music and the people who come to the event. This week, we go the next step and bring in an Agent into the mix and see what happens. Firstly, lets try and understand what an Agent does. An Agent is primarily focused with Marketing and then Sales of your Brand (band). A bad agent will spend all their time on Marketing and none on Sales or all their time on Sales and none on Marketing. Good agents spend an equal amount of time on both. Agents usually work on commission but some may ask for a retainer (avoid these). A low quality agent may take as low as 10% of your earnings, a really good one may ask for 50% or more. In general, you get what you pay for. Remember that a low agent fee out of a low income might be lower than a high agent fee out of a high income. Some Agents take a low commission and try and represent lots of bands (as in hundreds), they care less about you and are just trying to sell any band that is on their books. They are more focused on events and finding a band for someone else's event (think wedding bands). These are typically the websites you see that list bands for hire, you just sign up and you are listed straight away. These type of Agents want to list as many bands as possible to maximise the chances that someone will pick any one of their bands for their event. You would be unwise to sign an exclusive agency deal with an individual Agent that had more than 5 or 10 bands on its books. At the other end of the scale are the high commission Agents that only have a few bands on their books. These guys are working almost exclusively for you and put in long hard hours to get you as much work as possible. If they don't succeed they don't get paid so in general are worth every penny. These are the only agents that specifically want to find work for you (as opposed to anyone on their books). In the middle we have what I call "The Sharks" and these are the Agents to watch out for. They usually have 10 to 20 bands on their books and they seem to charge a relatively low commission, however, what you don't know is that often they are double dipping. An Shark goes to an event and offers their services as an "Entertainment Coordinator". The Shark is contracted and paid by the event to find entertainment. The Shark then offers up entertainment that just happens to be signed to the Shark for an agency agreement. The Shark inflates the price of the entertainment by quite a bit. The Shark then gets quotes for Sound, Lighting, Staging and other production services and slaps a nice big margin on top after screwing down the suppliers. Is paid by the event a "Finders fee"
Charges the Event X for the bands and tells the bands that they are getting paid Y. This happens all the time and seems to be an increasingly common practice in NZ so watch out. It wouldn't be so bad if the Sharks were up front about it. If you are signed to an Agent who you suspect is a Shark, try getting a quote for your band by getting someone else to contact them, then make sure you are sitting down when you see the price. Now lets take a look at the relationship between your band and an Agent.. Your band is a customer of the Agent. Your Agents product is your Brand. Your Agent is a Supplier to you (you are the customer and the customer is always right). Your Agents consumers are Events and Promoters. 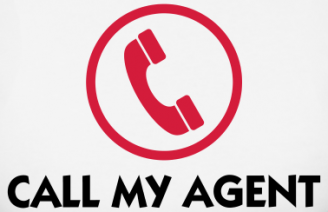 Your Agent Markets your brand in order to try and sell it to its Consumers. An Agent never does any promotion, that is still up to either you or a Promoter. Agents can save you a lot of time and a well connected agent can get you some great gigs and opportunities, but watch out. If after signing up with an agent you aren't significantly further ahead after 6 months, you may be signed to a shark.